How can ocean floor features be measured and mapped using current acoustical technology? How can ocean floor maps be used in the commercial, military, and/or private sector? Use the description of ocean floor features to construct a three-dimensional model of a section of the seafloor. Simulate active sonar soundings of a model of the ocean floor. Describe the concept of vertical exaggeration and why it is used in construction of side profile maps. In class, we created models of portions of the ocean floor, using playdough, and simulated collecting sounding data in a grid format. Based on your seafloor model provide a description of the topography of your surveyed area. Using the sonar stick is actually simulating what is known as remote sensing technology. What are the advantages of using remote sensing technology for your survey instead of direct observation? When graphing the ocean floor features we stretched the Y-axis. This is known as vertical exaggeration. What is the advantage of using vertical exaggeration in constructing your profiles of the seafloor? Identify the research questions for this activity, and your ideas/answers to those questions. An underwater seamount or guyot. A continental shelf, break, slope, and rise. 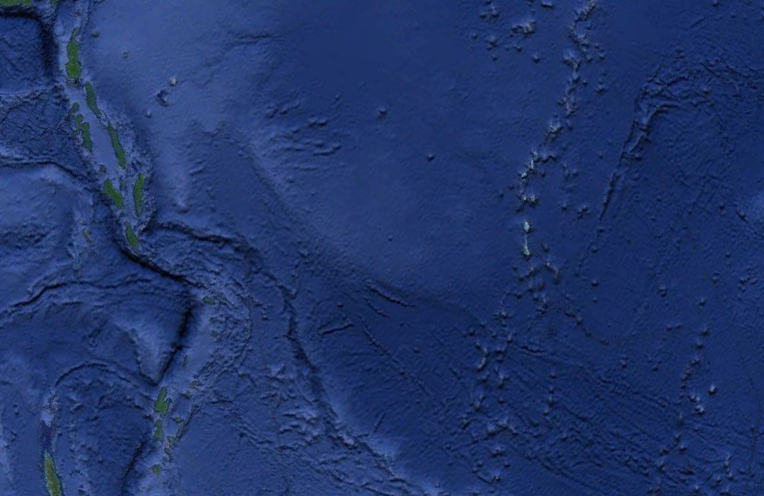 A submarine canyon on the continental shelf. A trench and island arc system. Write up responses to the three analysis questions above. What was the value and importance of this activity to your study of science. One thing that you are not taking into consideration is the practicality of building your aquapod and assembling it underwater. A network of focused experimental sites are being constructed in the Northeast Pacific Ocean to serve researchers, students, educators, and policymakers and begin “a new era of scientific discovery and understanding of the oceans”. The research stations are not habitats for living in but rather a series of sites with an array of monitoring equipment for monitoring chemical, physical, biological, and sediment conditions. Read the news article describing the observatory. Watch two or three three short videos of the work being undertaken. I suggest Dive 1482 Highlights, Dive 1604, and Dive 1596 Highlights. Read the National Geographic article Huge Molasses Spill Off Hawaii: A Diver’s Report. Write a two to three paragraph blog post that reflects either: a) your thoughts on the observatory installation (How tricky is it to build an underwater research station? What considerations must be accounted for? ); or b) your thoughts on the effects of the molasses spill (How should people respond to this? Could this have been prepared for? What should be done next?). That’s it: two to three paragraph blog post on one of the above topics (but read both). Make sure you label your post, include cited pictures, and include at least two hyperlinks to further information. This particular sand viewed through a microscope is from Maine. As observed, its got different colors throughout every fragment, browns, greens, whites, blues, mostly dark colors though. This sand was not magnetic, and has a size of about 1 millimeter. Our class determined that the sand can be classified as angular, moderately sorted, and composed of different rocks and possible debris. Yesterday, October 4th we went on a field trip to the NationalSeacoastScienceCenter in New Hampshire. We got to learn about the sea creatures that live in the small bodies of water. I learned that certain animals can only live in waters that are a certain temperature. When we checked out the touch tank, the water was freezing because the animals in there can only survive in that temperature. When we were outside we got to actually go in the water and look for animals. We found lobsters, crabs, snails, and sea urchins. It was a lot of fun to be able to find all these animals and learn about them. When we were inside we learned about the change of the water temperature over the seasons and how everything changes underwater when the seasons change. I really enjoyed visiting the science center and being able to discover all these new things and learn so much.